Microsoft and 343 Industries recently announced that the team has enlisted Neil Davidge of Massive Attack fame to compose the score for Halo 4, the highly anticipated sequel to one of the entertainment industry’s biggest franchises. As co-writer and producer for the last three albums from pioneering trip hop group Massive Attack, Davidge is an award-winning composer, record producer, songwriter and musician who has helped create some of the most innovative sounds over the past two decades and made an indelible impression on the music industry. In addition to helping pioneer an entire genre of contemporary music, Davidge has established a career as a film composer, scoring acclaimed documentaries and composing additional music for Hollywood blockbusters like Clash of the Titans. The partnership between Davidge and 343 Industries marks the first time a new composer has taken the reins for the landmark series’ score since the launch of the original Halo game more than a decade ago. Working in collaboration with 343 Industries, Davidge and his production team enlisted a 16 person hand-picked male tenor / bass choir plus 10 female Bulgarian vocalists, a full 50 piece orchestra and a whole host of other performers to bring the music of Halo 4 to life through a massive production effort on par with a major Hollywood blockbuster. 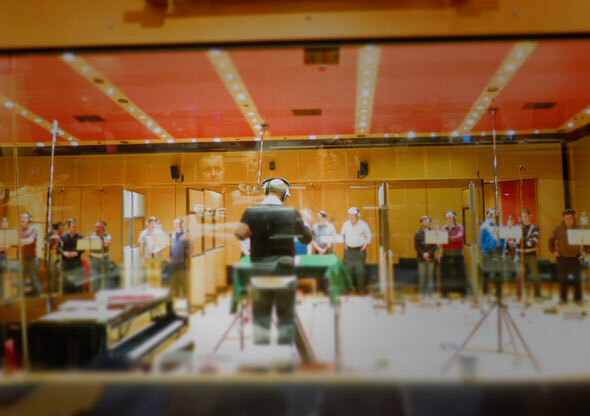 To offer a behind-the-scenes look at the creation of the Halo 4 score, 343 Industries released a new video feature showing a choir and orchestral recording session at Abbey Road and Angel Studios in London. The video features interviews with Davidge, Tojima and other members of the audio team discussing their vision for the music of Halo 4, and highlights the scope of the score’s production. Launching worldwide exclusively on Xbox 360 this Christmas, Halo 4 continues the story of the series’ iconic hero Master Chief as he returns to confront his destiny and face an ancient evil that threatens the fate of the entire universe.